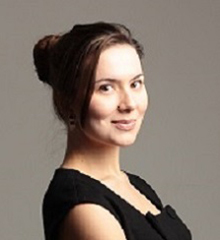 Ms. Ekaterina (Katya) Dorozkhina, Co-founding Partner and CEO of Starta Ventures, is teaching this 2-day course. Venture Capital is a driving force behind entrepreneurship and innovation. In 2016, there were 3,260 acquisitions of technology companies and only 98 tech IPOs, according to CB Insights. If that ratio holds, a startup is 30 times as likely to be acquired as to go public. On an annual basis, the number of funding rounds at all stages grew by a projected 8.8 percent from Q2 2016, which means roughly 500 more rounds, driven by robust growth in deals struck with earlier-stage companies. As you see from the numbers, technology investors fuel the economy, create growth opportunities for companies large and small, and funds the business development strategies of major corporations. But when you think of venture capitalists, you might think of large VC funds like Sequoia or Andreessen-Horowitz. If you've worked in finance, perhaps you think of private equity, acquisitions, and mezzanine funds. However, this couldn't be further from the truth. As a corporate executive, manager, or business owner, you too can become involved in the hottest new technology trends. Without knowledge, investing in early-stage technology startups can seem like a fun and profitable process, but in reality it is risky and can be opaque without proper training and clarification on how all processes within the ecosystem work. After the two days of this program, however, you will come away with the basic skills and insights needed to move forward. You will be taught by Silicon Valley and New York VCs, lawyers and other players in the venture scene. This class will also help you understand whether you want to explore Angel Investing as a full- or part-time job or whether you simply wish to integrate your current corporate processes into the venture system.